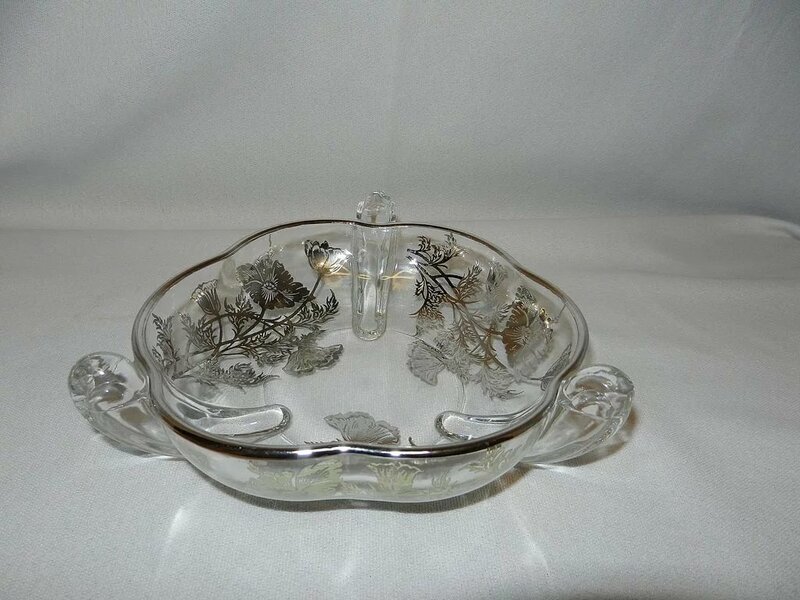 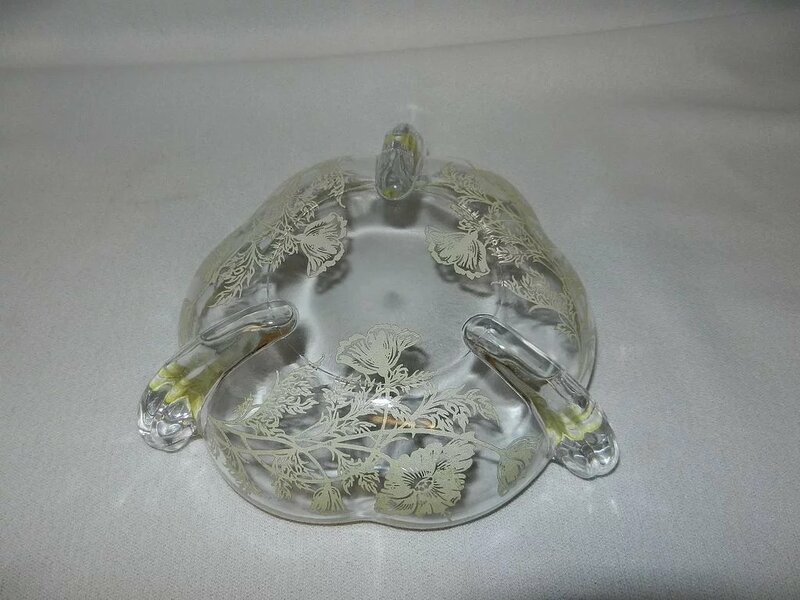 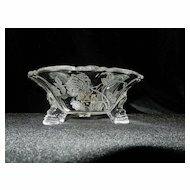 Vintage 6” handled crystal Bon Bon dish with a silver overlay of California poppies. 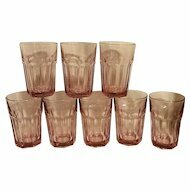 Silver City Glass calls this silver overlay pattern, Flanders. 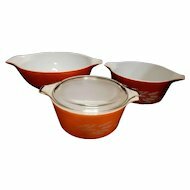 This was their most popular pattern. 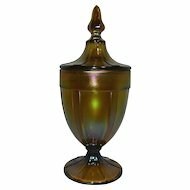 Silver City Glass located in Meriden, Connecticut, was active in the glass business starting 1907 and they did all of their own silver decorating because most of the silver companies had disappeared from the scene by the end of the depression. 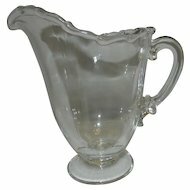 That is why they stayed in business after the Great Depression because many of the glass companies either went out of business or resorted to specializing in cheaper, more affordable glassware. 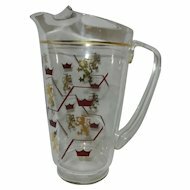 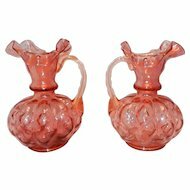 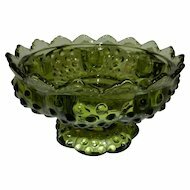 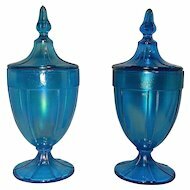 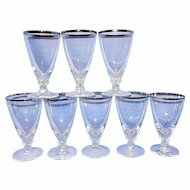 The era of expensive sterling silver applied to glass was all but over and not many pieces can be found that were manufactured after the mid-1930’s. 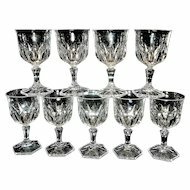 Silver overlay is also called silver deposit glass or silver electroplated glass. 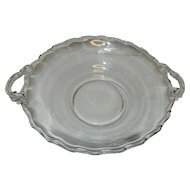 Their overlay is true sterling silver. 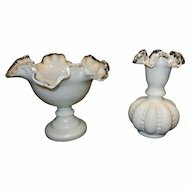 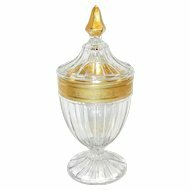 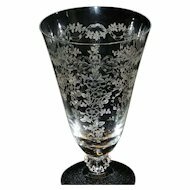 In 1889, the decorative technique of applying silver designs to glass was patented by Oscar Pierre Erand and John Benjamin Round for Stevens & Williams Ltd in Birmingham, England. 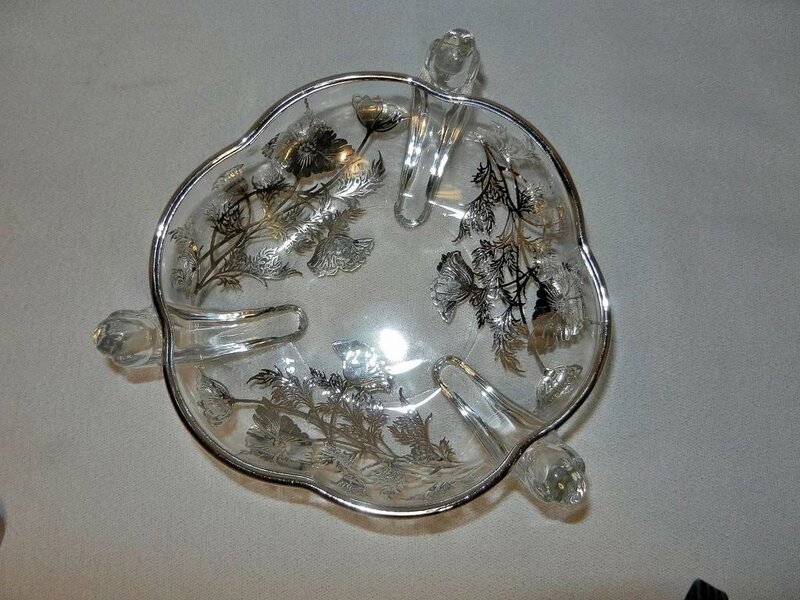 This beautiful piece is in excellent condition with no chips, cracks or other imperfections. 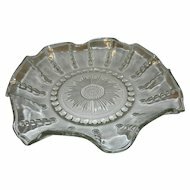 All silver overlay on the dish is complete with no flaws and the reverse on the bottom has retained its original white color. 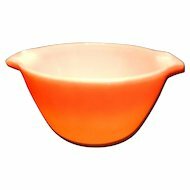 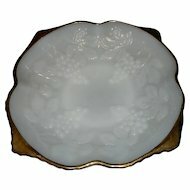 The bon bon dish measures 2 1/8” high and 6” in diameter.